It appears that an elected official in Morgan County, Missouri, has the power to keep Helen and Charlie Taylor apart no matter how much they want to be together. Shortly after our article was published, the day before Valentine's Day, Helen was told that she is no longer permitted to visit her husband in the nursing home, which is located in Callaway County, Missouri. Helen is devastated. She told us: "He is the love of my life. We just want to be together." During Helen’s visit with Charley Monday at the nursing home, she said 2 nursing home employees told her that the administrator wanted to meet with her in her office. In that meeting, Helen was told that she was not allowed on the premises anymore. Further, if she returned, they would call the sheriff’s department, and she would be arrested, according to Helen. 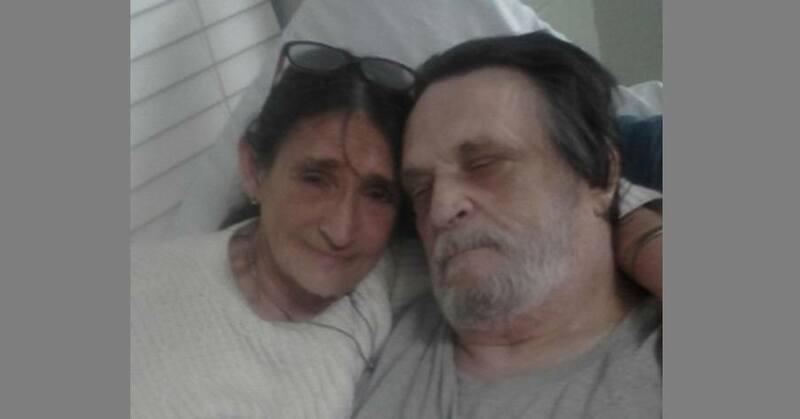 She was handed a letter signed by Conservator Amanda Huffman stating that Helen was interfering with Charley’s care and that the nursing home was to stop all visits from her with her husband. I just made the phone call. Don't know anyone personally involved in this situation. But I will say that all my questions were answered in a professional legal manner and I think this story is blown out of proportion. Why don't you use your time for good instead of head hunting people. Family needs to follow the rules and not be disruptive when visiting. It makes the situation so difficult for all the other patients that call this place home too. Amanda Huffman and all who perpetrated this crime should be arrested and convicted and if Charlie and or his wife would die then they should be given long terms of imprisonment at hard labor and denied seeing their loved ones, if they have any loved ones. Wrongful isolation is the number one complaint we hear from victims and families of unlawful and abusive guardianships and conservatorships nationally and why NASGA joined forces with the Catherine Falk Organization to pass legislation in all states to protect the rights of all persons under guardianship or conservatorship to socialize with whom they please - or not. Charley deserves and needs the comfort and presence of his wife. To deny him her presence is in effect punishing him directly. Charley has committed no crime and yet he is denied the presence of his family and friends as if he were an incarcerated felon. This is utterly horrible. What conscienceless evil. I hope those responsible are arrested, jailed, and fired immediately. And God can dish them out His Justice and "payback", soon. Those who would treat their fellow human beings with this amount of evil all the more verify to me that Jah is indeed Just in His plan to remove all stubbornly evil persons from this earth and out of existence forevermore, soon. "Just a little while longer, and the wicked one will be no more." For reading of these deplorable and inexcusable works of evil, I will pray all the harder for that Day from God to hasten on. Such conscienceless evil has to be brought to its end - and God has promised that it indeed will be - so that good people no longer have to suffer at the hands of the wicked. be nice to this amanda woman? how can i? someone needs to set her straight. No surprises here. Government owns us, don't they?